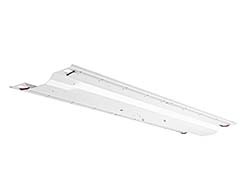 The Precision-Paragon TKL upgrades fluorescent fixtures to LEDs while delivering up to 124 lumens per watt. The kits can be installed in less than five minutes and are available in eight packages delivering 2,200-6,088 lumens per fixture. The kits are customizable in a range of configurations to include dimming and emergency battery backups.